Gerard Daffy was one of the pioneers at Centrebet and has been involved in the bookmaking industry all his adult life. 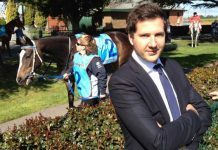 He now heads up media relations at TattsBet, and in this episode Gerard discusses the changing betting landscape in Australia. The major punting and bookmaking changes from the 1990’s through today. The pros and cons of the European ‘takeover’ of so many local bookies. How bookies do the form and price up low profile events. The process the Tattsbet team go through when setting the odds for NRL and AFL games. Hi this is David Duffield, and welcome to another episode of the Betting 360 podcast. Today my special guest is Gerard Daffy, he’s with Tattsbet and has a long and very interesting background in the local bookmaking industry. And one of the pioneers basically with Centrebet, and things have certainly changed from the early 90s, when they were the second online operator I believe in the world, and he was one of their very first employees. So things have really progressed since then, so it’d be interesting to have a chat with him about how much things have changed, and what the betting landscape is like right now. So let’s have a chat with Gerard. Hi Gerard, thanks for joining us today. Yeah good to have you on. You’ve been in the game quite a long time, and covered a lot of local and international sport, so what’s your favourite sport to bet on? Being a Victorian, I’ve always had a close affinity with AFL, Dave. But I mean down through the years, I started coming into contact with people all over the world, covering pretty much any sport that you can think of. As far as betting’s concerned nothing was barred with me, if I thought that I had an edge, or a guy that I was talking to or dealing with was that way inclined, where he had an edge, I didn’t mind betting on that at all. But I guess at the heart of it all, I’ll always be an Aussie Rules fan and I love betting on it. And what about some of those overseas sports, where you mentioned there’s all kinds of stuff going on. There’s handball that can be popular, in say some of the Scandinavian countries, there’s wife throwing championships and all of that, how do you even do the form for that? Well quite clearly a lot of it you can’t. And that’s why in my days at Centrebet, we employed people in the local areas, particularly in Scandinavia, but then that grew to Germany, Spain, obviously other parts of Europe, to the UK and that. I mean pricing up major events like EPL each week, and if you follow it closely it would be fairly easy, I think most people could do that. But it’s when you drill down to a lot of the lower division, either football codes, or things like you mentioned, wife carrying, you’ve got to find somebody who’s got some knowledge about it, and can convert that to odds, or you’ve got to do it yourself. Now down through the years things have changed a lot, because quite clearly you can access information at the touch of a button. Now you can do a Google search on wife carrying, you’d probably be an expert within 5 minutes. But when I started doing it some 15, 16 years ago, pre internet or in the early days of the internet, that information wasn’t there. So you either had to source it yourself, or find somebody in some of these countries to assist you. 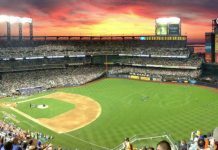 But the landscape has changed so much now that, and I suppose that’s why you can go to anyone of the, well there’s over 1000 online sports bookmakers around the world now, if you go to any one of them their probably betting on all of the same things. So the internet’s made it fairly easy for people to either plagiarise, or copy this stuff. So just to go back a few years then, to the early 90s when you were one of the pioneers with Centrebet. What was bookmaking like during that time? Because you mentioned it’s changed a lot from then until now. Oh well it has. I mean when we started at Centrebet there was the guy that owned it, and two of us, we were the staff. And the office that we were in, was probably not much bigger than a family ensuite. It was a few weeks before we even got a fax machine, but it grew so quickly. And probably the biggest thing that happened to us in the early days, was the 1993 federal election. We’d only been going a few weeks, and the Northern Territory were always go getters, in regards to allowing us to bet on things that may well give us an edge in the media. And that was the first thing that we did, and we got huge publicity out of that, and opened up thousands of accounts straight away, and then we were pretty much off and running. In those days you’d ring up, and more than likely you’d get me, or the other guy on the phone, that was that way for probably the first year or two. Then we started to get some telephone staff, we’d write the bets down on a slip of paper, we’d then go and write them in a big ledger, and we ran everything off a card system. So after an event was over we’d have to go and credit it all, or debit the persons account to keep it up to date, so as you can see, or as you can probably work out, that was a nightmare. We then went to computers, so we had to stop writing prices on the board, and then the internet. And I guess one thing that Australia can be proud of in the sports betting arena, is that we really did lead the way. Centrebet was the second place in the world, and the first place in the southern hemisphere, to offer any kind of gambling online. When you consider where we were, I think that was a big feather in our cap. We then moved on to make it multi lingual, multi-currency, obviously was Scandinavia the focus. We were the first to go 24/7, and then as we progressed a lot of these competitions that we bet on in Australia. We started to add exotic bet types as more and more of these matches, particularly lower league stuff like we’re shown on TV. So a lot of the bet types that you see today, definitely came within the walls of Centrebet, and we’re pretty proud of what we were able to achieve in those early days. Well it was definitely a PR stunt, because up until 2008 you couldn’t advertise anywhere in this country. So that was both good and bad, I mean it did severely restrict anybody who had a license outside of the states that you were targeting, but it also kept everybody else at bay as well. And by the standards of the day they were big bets, I think we held about $150,000 dollars’ worth of bets on it. You know in this day and age, now it’s probably 20 to 30 bookmakers, and I guess most of those would hold over a million dollars. So that last federal election was quite feasible, maybe $25-$30million dollars was bet on it, so it’s come along way. As far as doing the form was concerned, well everybody’s got invested interest in an election, and you can probably sit down and work out which way it’s going to go. You wouldn’t have to be a road scholar to work out the last one, that up until Julia Gillard was shown the door, that Labour were in a lot of trouble. And Kevin Rudd had a honeymoon period, and then after about a week or so that disappeared. So you can interpret that into betting, but I guess the best way to do it, and it makes sense when you think about it, is that we’re forced fed polls, everyday throughout this election campaign. We heard of this poll, that poll, somebody’s in front, somebody’s behind, or whatever. But the most accurate poll of all is the punters poll. Because they’re not asking for an opinion, they’re actually backing it with cash. And that’s what I always like to take notice of, where people are betting, particularly when we started to bet on seats around the country. Because I don’t care who you are, it’s not possible to keep on top of all the local issues in 150 seats. And that’s why we see such varied price movements on a lot of these seats, and bookmakers don’t win on them. So you’d have to respect the market basically. You could do all the form you like, but if the money is coming through that says something. Yeah that’s right, particularly if it’s local money. I mean there are people out there who bet on football, or bet on NRL, bet on soccer, and that’s all they do, bet on tennis because they’re experts at it. There are also people that just surface when there’s betting on politics, and I’ve always respected those people because it’s basically the same thing. They know what they’re on about, they can access where the errors are, and once they start to concentrate on specific seats, you then have to sit up and take notice. So I’ve always kept a pretty close eye on people who I respect, or bet from left field, and more often than not they’re on the money. Okay. 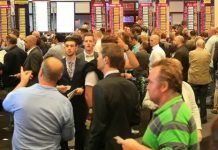 What do you think of so many of the Australian bookies being bought up by the Poms, what do you think of the positives of that, and what do you consider to be the negatives of all the consolidation? Well I guess we always thought that there was going to be consolidation. But having said that, there are a lot of these bookmakers in each state now, who are trying to corporatise as well. Using their family name, and now adding bet onto the end of it, that’s become quite popular, with a view to perhaps selling it to somebody down the road. But I think the sales are just about finished, I must admit I’m surprised at the influx of overseas bookmakers in such a small country as Australia, and in the overall scheme of things we are small. The biggest problem I think they’re going to face, is that the market has been so competitive. And because they’ve had huge outlays to take over these places, from an acquisitional point of view, that they’re going to have to tear back a lot of the pricing, perhaps some of the cost, and I think the punters will probably be worse off down the track. You hear a lot of horror stories about gamblers being barred, pretty much straight away, even before they’ve had a bet. I’ve heard of punters being barred, and I’ve got to scratch my head at some of the activities that are going on there. But having said that, and getting back to that fact that we’re only a little country, disposable incomes aren’t there, what they used to be 10 or 15 years ago. Now I just wonder how much homework a lot of these businesses have done, because surely when they buy another one they’re actually buying a client list that’s already been got out by somebody from another business. What I’m saying there, is that most businesses now would have duplicate client lists. Because 15 years ago you might of bet with one bookmaker, perhaps two, but in this day and age I think it’s quite popular, particularly for the younger to have multiple accounts. Definitely. I mean we encourage that ourselves, just for people to shop around, so I’m sure there is a lot of duplication. So where does Tattsbet fit into all of this? 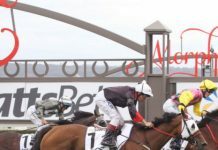 I think some of us in the industry assume that the general public out there have a bit of a knowledge of who’s who in the corporate world, or the bookmaking world. So where does Tattsbet fit in? Well Tattsbet predominantly has always been viewed as a conservative company, and it’s made a pretty good fist of operations the way they’ve done that. But times change, they’ve got a new CEO now, Robbie Cooke’s taken over. He’s got a pretty good background online, he got Wotif to the stage where it was, where it’s a worldwide company now. Tattsbet probably focused on retail, particularly where their licensed in those jurisdictions around the country. They took over Tas Tote, I think it’s around 12 to 18 months ago now, so they’ve got a pretty big footprint now. It’s time to ramp it up, a lot of the things that are expected, like a corporate bookmaker in this day and age, haven’t really been embraced by Tattsbet like 24/7, but that’s about to change. They’ve got a really good app that’s going along nicely, and as you can probably work out the Tatts.com name or brand, is obviously synonymous with Tattslotto. And up until this point in time there probably hadn’t really been that connection made by most people outside of, really Queensland. So I think that’ll change as well, so I think it’s onwards and upwards for that business. And how did the AFL grand final end up for Tattsbet? Because the Hawks had been well backed all year, but Freo had plenty of late support and some reasonable prices. Yeah they did. But funnily enough in this day and age, and I guess this is one of the things that we’ve seen through the evolution of time. That a lot of things that happen on grand final day, pale into insignificance compared to the North Smith medal. And Brian Lake, a hundred to one pop, he was the biggest result of the game. It’s massive betting now on the North Smith medal, we took a lot of bets for him, including three or four $50 bets, so those punters won $5000, but that was the big result. As far as the games concerned, well we were fortunate enough that we weren’t in a lot of trouble with either side coming into the grand final, in fact both sides were winners. Fremantle were a big winner, and Hawthorn were a small winner. So that gave us a fair amount of latitude, in regards to how we treated the betting on that day. And as is always the case, there were a stack of money for Fremantle to win the grand final anyway. So going into the game, it didn’t really matter who won, we were going to win, it was just a matter of how much. So the other guys handled it really well this year. And how do you manage risk? Obviously you had a green book in Betfair terms. But how, for a normal game or a big game like that, are you looking to balance the book as much as possible, or do you actually take a position on a game? You’ve got to take a position in the game. I mean theoretically, the idea of any business is not to lose. It doesn’t matter whether they’re selling TVs, or cars, or whatever, and bookmaking really shouldn’t be any different to that. Now I know bookmakers cop plenty of slack for whatever they do, but at the end of the day you’ve got to feed your family, or if you’re a corporate licence, you’ve got to look after your shareholders. So the idea or the theory behind it all is, that you should try and lay both, whatever the competition in. but it doesn’t happen, it very rarely happens, in the thousands of events that are bet on each week. So basically what you have to do is, get your opening price right, monitor the early transactions, and then work out at some point in time whether the side that you’re laying at, or the player is under the odds. And I guess if they’re at a shorter quote than what you opened at, the answer to that would be yes. But it’s an intriguing business that we’re in Dave, because it’s the only industry that I know where you put all of the homework in to coming up with something that’s likely to happen, that is the favourite to win a competition. You take bets on it, and you sit back, and then you hope that your theories are wrong, or that your analysis is wrong, so it’s a funny caper. Yeah so grand finals are different, because so much betting’s already taken place during the year. But for a normal AFL or NRL game, how do you go about setting the odds, what’s the process that your teams goes through, is it basically a consensus amongst them? In each of those codes we’ve got three or four people who’ve had some input, and is wagered one way or the other. And I think most businesses are the same, it just depends how many people have input. Some I know have 9 or 10, some have 2 or 3. But because the margins are so tight, even on an opening market of a 104-105%, it doesn’t give you a lot of leeway. So really you’d be insane if you went outside of that mark, and created an arbitrage market because it’s completely pointless. So that’s why you’ll see now, and it doesn’t matter what competition we’re talking about in Australia, most of the prices are very similar. Even within minutes of the Origin of the first market, however after that your destiny is in your own hands. So you’ll find that most people will go one way or the other, whether it be they think that one team’s under the odds, so they might push them out, or they know that they’re client based. And I guess this applies to the bigger businesses, with tens of thousands of active clients. But their clients will back specific sides, or take specific prices, so pretty much you’ve got to know the game, but you also have to know your client base. And so in simplistic terms, if you had three guys and they come up and they say, okay I believe the team should be, well one says $1.45, one says $1.50, one says $1.55. Is it typically you meet in the middle? Or do one of the guys at either end that really make a strong case say it should be $1.45 or $1.55? Yeah it’d be $1.50, you’d go in the middle. But where, and that sounds a nice way of doing it, and that sounds not too far away from the top to the bottom into those prices. Where it can get tricky, is where you’ve got somebody who comes and says, well I think it’s $1.10. And then you’ve got to work out, well you tell me why you think it should be $1.10 and not $1.50. Or if it’s Hawthorn who is $1.10, and I know that you go to bed in your Hawthorn jumper, I’ve got to factor that bias in. But ultimately there has to be a team leader, and I think that applies everywhere, and it all ends with him. It’s his head on the chopping block, so he can chose to ignore the $1.10 and go the $1.50, or go the other way. But all of these businesses have teams of their codes, and the final decision rests with them. And how much of it is data, facts, and figures, and stats, and how much of it is gut instinct? Because it seems as though data has more and more importance in local and overseas sports, and racing as well. But how do you break down your gut instinct, versus the stats and statistics side of things? Yeah the stats matter. And there’s more and more of that, and it’s become a whole lot easier through stats being so readily available on the internet. You know there are teams, it happens more so in rugby league than in AFL. In this day and age, I think the early professionalization of the AFL has taken away the element of teams not being able to travel, or having a huge home ground advantage, it’s more so in the NRL. But you know we’ve seen teams in the NRL that haven’t been beaten at home, against a specific team for 10 or 12 years. So you have to factor that into the pricing, because the public will know by 2 or 3 days out, that there’s stats there. People bet on stats in this day and age, there’s more and more of it. And I suppose it makes sense when you think now that we’ve got people doing fantasy leagues, and tipping competitions. And gone are the days of just picking your favourite teams, or taking a set against one team for the season. All of these things are definite factors, now bookmakers have to do with it, and that’s how the times have evolved as well. And the big Las Vegas casinos employ external consultants, and pay them a fair wack to get their opinion, an external opinion. Do any local bookmakers do that, or is everything done in-house? They do. And getting back to the Centrebet days, that’s how it all started there with those Scandinavian people, and people in Germany, that helped us with a lot of lower division hand ball and soccer matches. Actually we had a couple of hundred people employed in that capacity overseas, and only about 30 or 40 in Australia. But it’s a big world out there, but you have to look at it that if somebody knows something more about a lower profile sport, say NBL, or WNBA, or the ITM cup rugby union in New Zealand. Or some of these tennis competitions around the world, where the big names don’t appear, and there’s a couple of those currently going on in Asia. You can’t possibly keep up with it, and it’s then that you have to start looking for external people, or try to spend more time, and time costs as well, to chase down the information yourself. So there’s a lot more reliance on external contractors, but I suppose the other thing to is, that there’s a lot more focus on know your clients. And there are definitely clients that bet on all of these competitions that have an edge, whether they be big or small punters. So in effect you can just follow them anyway. So rather than having a formal agreement, you’re pretty much just following who these guys are backing? Yeah that’s right. And I can remember a guy that used to bet with us when I was at Centrebet. He bet on cycling head to heads, we used to cover cycling pretty much every week, somewhere around the world. And he would bet the equivalent maximum of $50 Australian dollars. But he was deadly, when he bet he never missed, and you know I know myself I used to try and get on him, but if his bet comes through $10, $20, if he had $50 on something, you’d just slash the price. It wouldn’t of mattered whether you got money out of the rider or not, and these are the types of things that you’re looking for. Somebody who knows that the market’s incorrect, and is good at it, and you’re more than happy to run with them. And typically the bigger the market the more efficient that it is. Are there still good opportunities in lower profile events do you think, where people can have a nice edge? I think there’s good opportunities in big profile events. Because what we see now, is it’s trying to keep up with the Joneses. And a lot of these businesses either can’t keep up with the Joneses, or can’t cope with it. So say on an AFL game, now you might be able to get 60 or 80 bet types, but it appears to me that the people that are employed in a lot of these businesses, now don’t have any mathematical background, or any betting background. Basically they copy the market, but they get lazy, or they don’t understand what they’re changing. And there’s some terrific opportunities in exotic bet types now, where the odds don’t correlate to what they are to win the game. Or there hasn’t been enough effort put into some of the more exotic bets, probably more so with really low bet turnover exotics. 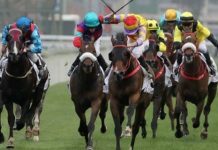 But also there’s a copying of exotics on major competitions from overseas like NFL, soccer, and the likes, and a lot of those are treated as small betting exotics by overseas bookmakers. But those that copy them here don’t know that, and quite often get left holding the baby. Okay just to finish up then, what about the NRL grand final, who will Tatts be cheering for? Well once again the rugby league guys have done a good job. Because Manly and the Roosters, out of the 8 teams that were left at the start of the final series where the big winners. So we’re not in too bad a shape at the moment, but the early signs are that all of the money’s going to be for the Roosters, so I suspect that we will cheer Manly again. They’ve done the right thing by us the last couple of weeks, so hopefully they can do it again. Good stuff. Well I won’t say good luck, but I will say thanks very much for joining us today. I really appreciate your time, it’s been a good insight into how things have changed over the last well 20-25 years. Yeah well it has changed a lot Dave. And gone are the days of writing bets down on a bit of paper, and prices up on a wall. It’s all with a touch of a button now, you’ve got to wonder where it heads to next. But we never thought we’d be putting bets into computers, and here we are we can’t survive without them now, so who knows what’ll happen next. Exactly right. Thanks again Gerard, appreciate it.